ALMSys® is a lease and loan management system. It is designed to track all of your leases and buy here/pay here loans through their full terms. Tracking includes billing, payment processing, depreciation, insurance, leveraged financing, collections and much more. Rig Expense Tracker will track the income and expenses, truck information, and load information for owner/operators, leased operators, and company drivers. It was written with the guidance of owner/operators and leased operators. It is easy to install and very easy to operate. Lading Manager will produce a professional bill of lading for your shipping needs. There are two versions available for you to choose from. Monthly Income and Expense Tracker will track your detailed income and expenses by the categories that you define. Lease Calc Pro is designed to calculate leases and loans for the casual lender, or as a front-end to a lease/loan system. Fast-PO will quickly and easily produce purchase orders for your company. GPS Converter is a free product that will comvert GPS coordinates between three different formats. These are additional products and links. Please contact us for assistance with these products. The ALMSys, Inc. Investigator program is a support program for some of our products. 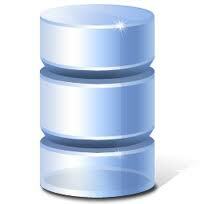 Microsoft SQL Server Express is used as the database for some of our products. The link will go to SQL Server 2014 Express. If you want SQL Server 2012 Express, click here. The Advantage Table Fix Utility will fix corrupt tables for some of our products. DLL Fix If you are experiencing a "Cannot load DLL" error message with a return code of 0, then this should fix your problem. If not, please contact Support for more assistance.